Just like Credit and Debit cards, UPI (Unified Payments Interface) is another payment option. It abstracts your bank account details in the form of a VPA. Now instead of sharing complex account details, the user can just share the VPA to receive/send money. And all of this is realtime! VPA is a Virtual Payment Address like your email (eg. payu@bankname). A VPA can be linked to any bank’s account. 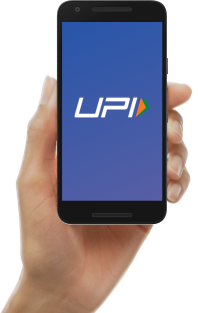 Can I leverage UPI across platforms? Yes, this solution can work across web and mobile and web-view inside a mobile app. It is also supported on PayU’s existing Android SDK. How do I create a VPA? VPA can be created from a UPI enabled bank mobile application or third party application. Can users create a new VPA handle in transaction flow ? No. The current UPI flow doesn't allow a user to create a new handle. However, this is possible via PayU's dedicated UPI SDK. This is under development. Know more. How does UPI work for your customers? Receive real-time settlement for P2P (Person to Person) flow and T+1 settlement for P2M (Person to Merchant) flow. Real time settlement model will directly settle customer’s money in your account. PayU charges a small service fee for this. Merchants with PayU hosted Checkout can go live by simply enabling a flag. No additional intergration required. Merchants with non-PayU hosted checkout will need to send an extra VPA parameter in transaction request. All calls are server to server and no redirects, hence best success rates. RBI approved single click and 2 factor authentication. Customer’s mobile is the First factor and M-Pin is Second factor authentication. M-Pin is Mobile PIN which is created while linking a bank account with a VPA handle. and start receiving payments now!